North Adams, MA FreshGrass, Massachusetts Museum of Contemporary Art's (MASS MoCA) 3-day festival of bluegrass and progressive roots music, announces the first round of bands for its upcoming September fest, with Brandi Carlile, Railroad Earth, The Del McCoury Band with special guest David Grisman, Del & Dawg, The Wood Brothers, Bill Frisell: Harmony, Alison Brown, Son Little, The Brothers Comatose, Carrie Rodriguez, Darol Anger's Republic of Strings, Hackensaw Boys, Rob Ickes & Trey Hensley, The Suitcase Junket, Nell Robinson & Jim Nunally Band, and 2016 FreshGrass Award winners The Last Revel, Victor Furtado, Julian Pinelli, and The Page Turners. FreshGrass, to be held at MASS MoCA on September 15-17, 2017, features bluegrass traditionalists and innovators on four stages and in every nook and cranny of its 28-building, 16-acre campus. 2017's festival will be the first FreshGrass held since MASS MoCA's Building 6 — slated to open in May of this year — has been open, with an additional 120,000 sq. ft. of expanded galleries and performance space. Nashville, TN -- For the 2nd week The Del McCoury Band’s Del & Woody, a collection of lyrics left behind by Woody Guthrie and put to music by McCoury, reached #1 on the Billboard Bluegrass chart. As best we can tell (with help from the Woody Guthrie Center), a few songs of Woody’s have charted on radio before, but no project that included only his songs has ever risen to the top of the Billboard album chart. McCoury—who at 77 is no stranger to the top of the charts himself—says he is proud that it was his unique collaboration with the world-acclaimed folk bard of the depression that pulled Woody to the top. Asheville, NC -- Magnolia Fest celebrates its 19th year at the magnificent Spirit of the Suwannee Music Park in Live Oak, FL on October 15-18, 2015 and is thrilled to announce a handful of additions to this Fall’s lineup including The Del McCoury Band, Jeff Austin Band featuring Danny Barnes, Ross Martin & Eric Thorin, Oteil Burbridge and Roosevelt Collier Band, Rebirth Brass Band, Jerry Joseph & The Jack Mormons, New Orleans Suspects, The Congress, Band of Heathens, Nikki Talley and more! Nashville, TN -- To celebrate the 75th birthday of one of the most respected artists in contemporary bluegrass, a special 90-minute set, “Del McCoury Band with special guests Lee Ann Womack and Keller Williams”, will take place on Saturday, October 4 during the Wide Open Bluegrass festival. 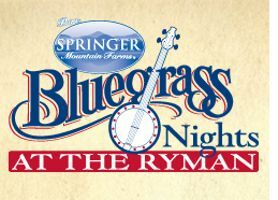 Wide Open Bluegrass is part of the International Bluegrass Music Association’s World of Bluegrass event, which takes place September 30 – October 4 in Raleigh, North Carolina. 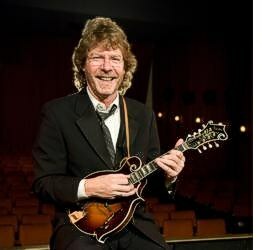 Ontario, CA -- Huck Finn Jubilee, the West Coast’s ultimate jam and bluegrass festival, has released a schedule of events jam-packed with three days of top headliner performers, workshops and activities this Father’s Day weekend. This year’s music lineup includes some of the biggest names in the industry, including The String Cheese Incident (Friday and Saturday nights), The Del McCoury Band (Friday), Rhonda Vincent (Friday), Sam Bush (Friday), Keller Williams with the Travelin’ McCourys (Saturday), Dailey & Vincent (Sunday), Doyle Lawson and Quicksilver (Sunday), and the legendary Dr. Ralph Stanley (Saturday), who will make his final West Coast performance at Huck Finn as a part of his farewell tour. Austin, TX -- Shweiki Media Printing Company is pleased to announce that they will be serving as sponsors for the 27th annual Old Settler's Music Festival and showing their support by taking care of the printing needs for the four-day Texas Hill Country event. Asheville, NC -- Suwannee Springfest celebrates its 18th year at the magnificent Spirit of the Suwannee Music Park in Live Oak, FL on March 20-23rd. Festivalgoers can enjoy four days of camping and live music, arts and crafts, and a selection of great foods. Suwannee Springfest consistently features some of the world’s finest performers in Roots Rock, Bluegrass & Newgrass, Acoustic Blues, Singer/Songwriter, Cajun/Zydeco, New & Traditional Folk and other forms of American Roots music. Tickets are on sale in advance and at the gate.